Check out the black that runs under his belly and up his tail. I mean, is this bird fancy or what? As I recall there were several comments among participants about desiring these colors for interior decorating schemes. 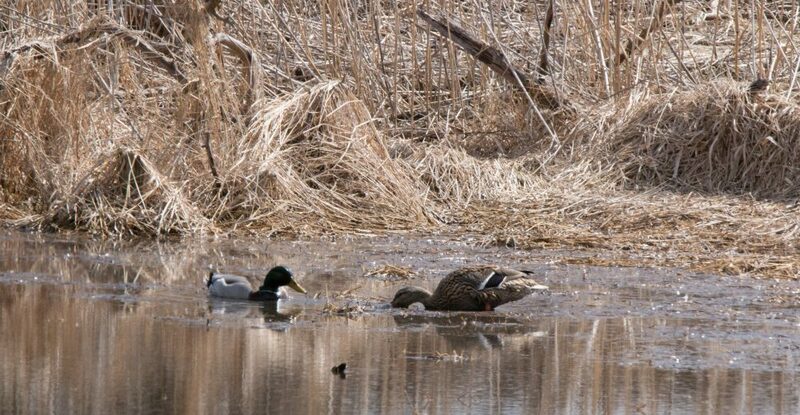 If it weren’t for the pink legs, maybe this bird would be well-camouflaged against this chaotic background. 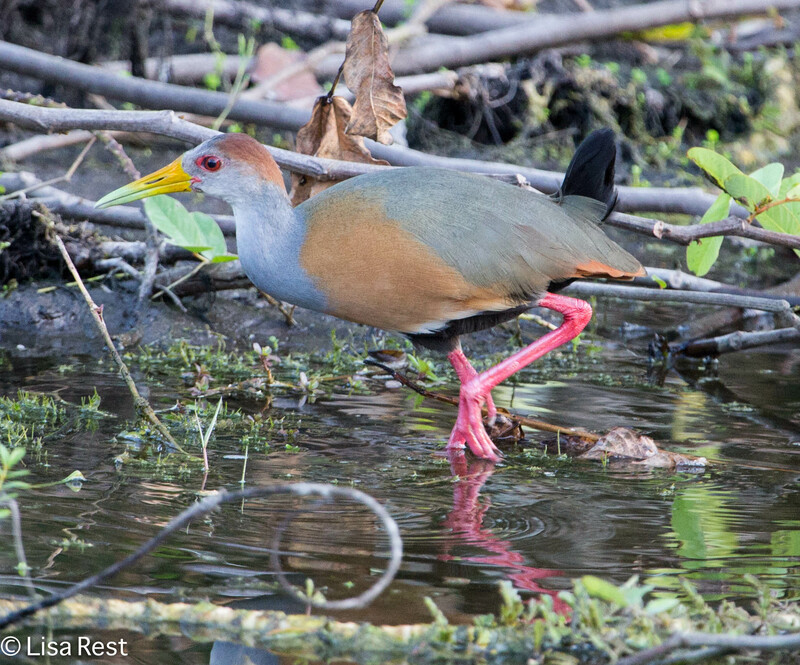 This entry was posted in birds and tagged Belize, bird names, camouflage, Gray-Necked Wood-Rail by Lisa Rest. Bookmark the permalink. Thanks, HJ! I felt he was amazing enough deserve his own page. 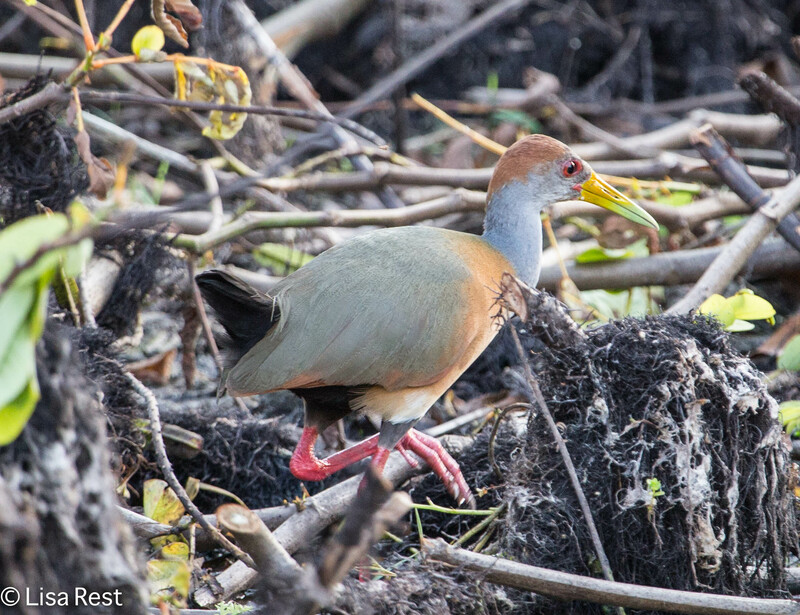 This is the closest and most cooperative wood rail I’ve encountered yet. Haha. As long as it isn’t pallet because I don’t know where he’d put it. Now you’ve caught me, in the office going stir-crazy. Thank you, Syl, lovely comment. It’s such a delicate palette and yet so varied, when I first started going through the pictures I thought to myself, this bird looks almost imaginary!